When it comes to housing, Northwest D.C. is a booming — thought oft overlooked — market, comparable to H Street, Columbia Heights and Petworth waterfronts. WASHINGTON — When talking about D.C.’s hottest housing markets, new H Street, Columbia Heights and Petworth waterfronts usually float to the top, but neighborhoods in D.C.’s long-established Upper Northwest are also strong. American University Park, Chevy Chase and Spring Valley are among older neighborhoods seeing brisk buyer activity. “It combines a suburban feel, but within walking distance or a short drive people can be on Wisconsin Avenue or Connecticut Avenue and get downtown quickly,” Corey Burr, with TTR Sotheby’s International’s Chevy Chase office, told WTOP. While a sleek, new condo on the waterfront can easily sell for more than $1 million, median prices in Upper Northwest neighborhoods range from $800,000 to $1.2 million. For that, you can get an entire house, yard and often a garage included. There were 59 sales in Spring Valley and Wesley Heights in July, according to Long & Foster data, up 9 percent from a year ago. Those that went under contract sold for an average of 1 percent more than listing price. Contracts in Chevy Chase, Cleveland Park, Georgetown and Spring Valley accounted for more than 20 percent of the 861 properties in the District that went under contract in July. 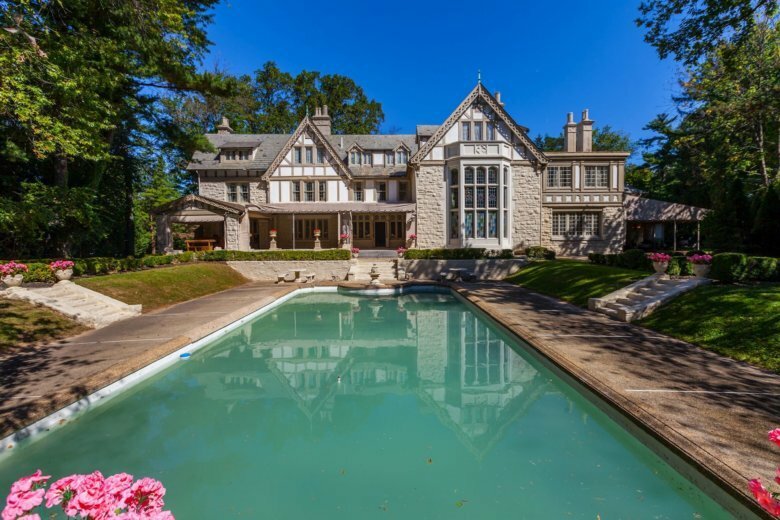 Six of the 10 most expensive residential sales in the entire Washington region in July were in Georgetown, Kalorama and Upper Northwest, according to listing service Bright MLS. While Upper Northwest sells, overall the ultra high end of D.C.’s housing market has slowed, and multimillion dollar properties are the most likely category to see price cuts and long list-to-sell times. “A lot of foreign buyers have dried up because their home countries are making it harder for them to divest assets, and also it is more difficult for LLCs to buy because they now have to be named as to who the buyer is,” Burr said. For anyone in the market for a luxury D.C. home, the totally renovated former Portuguese consulate on Tracy Place recently hit the market — for just under $5.3 million.